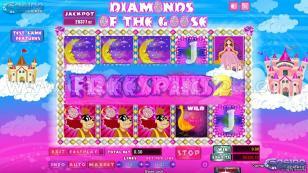 Unveil the amazing story of the lovely princess and her magic goose in this sparkling new slot game. The story began when the Princess of the Clouds discovered that one of her geese had an amazing power: it laid eggs encrusted with precious diamonds. Their lives are peaceful and quiet in the castle beneath the stars, but a villain is trying to steal the eggs of the goose! Beware of the bad dog that is willing to do anything to get the eggs for itself. If you can protect the Princess and her beloved goose, they will reward you with treasures that you might have never seen before! 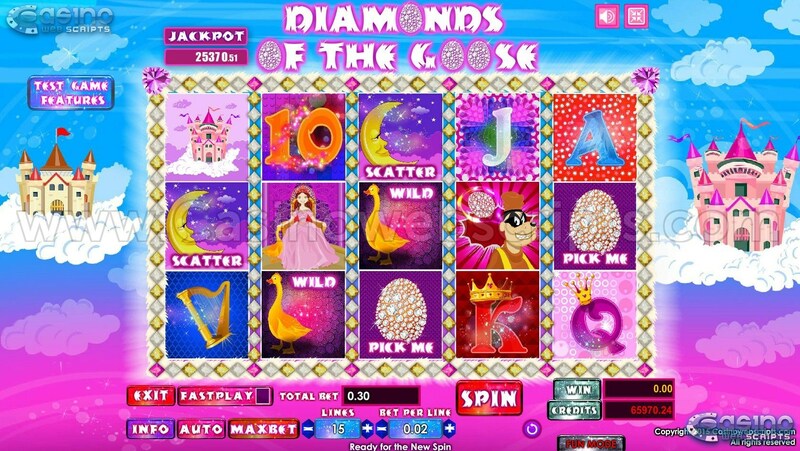 To start playing SLOTS, start the game, choose your betperline value, the number of paylines you want to play and press SPIN. Total bet is equal to betperline * lines(active paylines). Total bet will be deducted from your balance upon pressing SPIN. 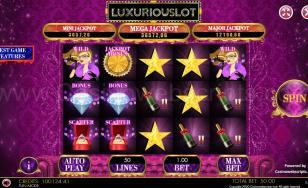 Total win is calculated based on the sum of the wins from each active payline. Total win will be added to your credit balance after all win line animations are completed and/or after the COLLECT button is pressed. -Auto(Autoplay): will automatically SPIN and collect using the current number of lines and betperline, until your credit balance will not allow another SPIN, or until STOP button is pressed. The number of autoplays may not exceed 25 in one batch. Gamble is not available in Autoplay. If the symbols form a winning combination as per the paytable, on one of the active paylines, you win! 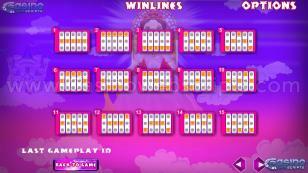 Payline winnings vary according to the amount of betperline and the combination of symbols achieved. 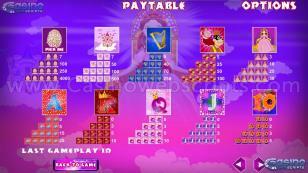 The winnings for each set of symbols are listed on the paytable, inside the game. 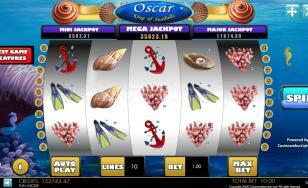 Only the highest winning combination on each selected payline is paid. 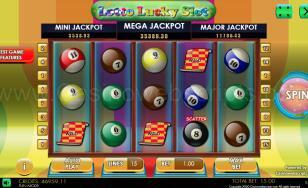 Simultaneous wins on different selected paylines are all added to the credit balance. 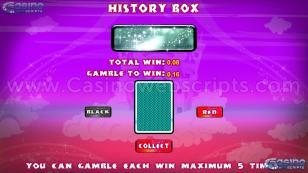 Payline wins are multiplied by the amount bet per line. All winning combinations pay from left to right and right to left except SCATTERS (see FREESPIN MODE section). A winline cannot pay both from left to right and also from right to left. The left to right win has priority in this case. If the winline has winning combinations that would pay for both left to right and right to left, it will pay only for left to right..
Gamble your win after each gameplay, to gain double or nothing! 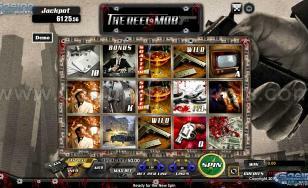 Upon entering gamble mode, you can GAMBLE by clicking on RED or BLACK. Your previous win will be deducted from your balance. If you win, your reward will become 2x previous win, and will be added to your balance upon clicking COLLECT. 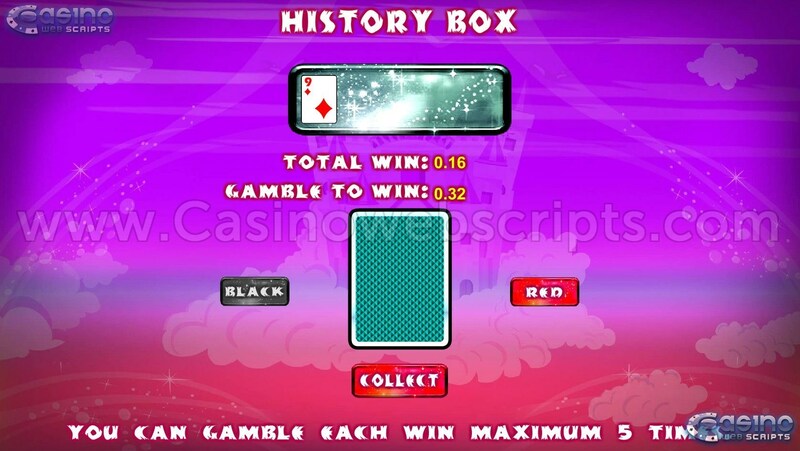 If you lose, your winnings will be lost and gamble mode will exit. 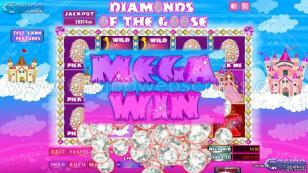 If you click COLLECT, the previous win will be added to your balance and gamble mode will be closed. If the color of the revealed card will match the color you have selected (BLACK or RED), then you win, otherwise you lose. 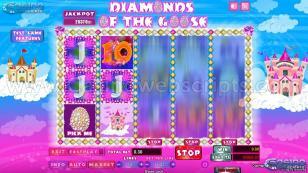 Maximum 5 gambles in a row are allowed. After the 5th gamble, the wins will be automatically collected and added to your balance and gamble mode will be closed. 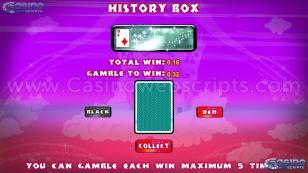 You cannot gamble wins from FREESPIN, Progressive Jackpot or BONUS mode. 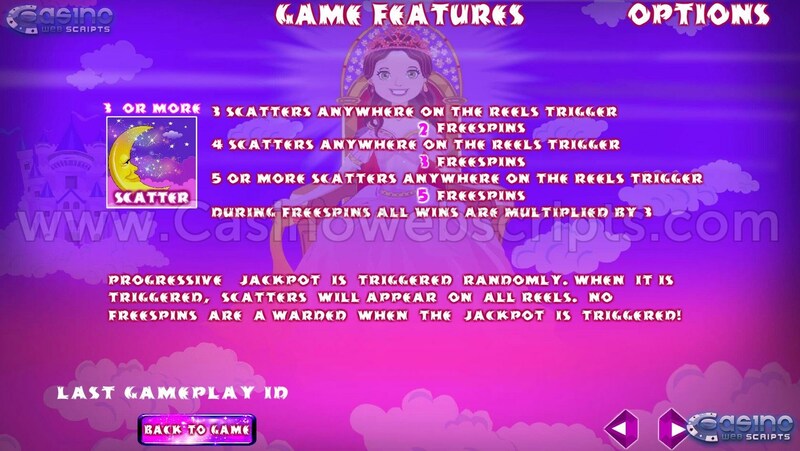 Any of the three Progressive Jackpots (Mini Jackpot, Major Jackpot, Mega Jackpot) can be won randomly by spinning the reels, during normal play or freespin mode, then SCATTER symbols will appear on all reel stops. 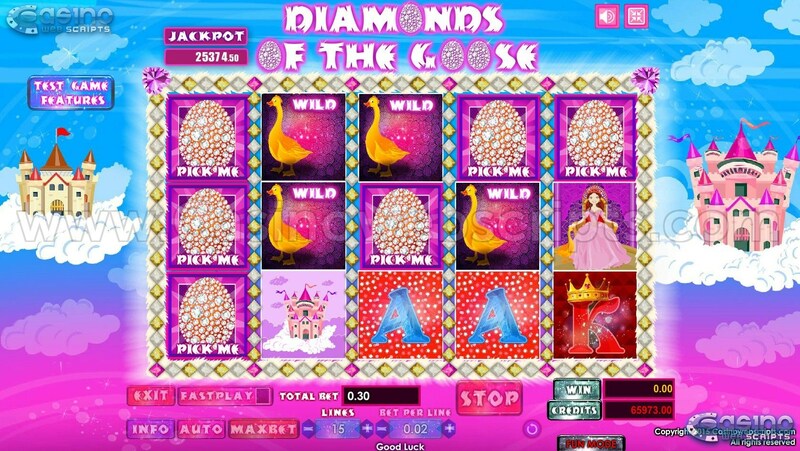 No Freespins will be awarded when one of the Progressive Jackpots will be won. The total Jackpot pool increases by 5% from total bet, everytime a bet is placed. 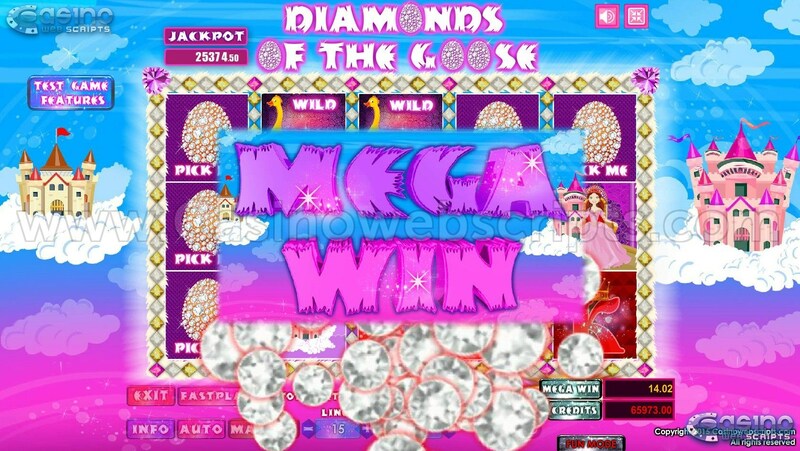 The MEGA JACKPOT is equal to 100% of the Jackpot Pool. 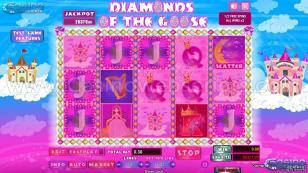 The MAJORJACKPOT is equal to 33% of the Jackpot Pool. 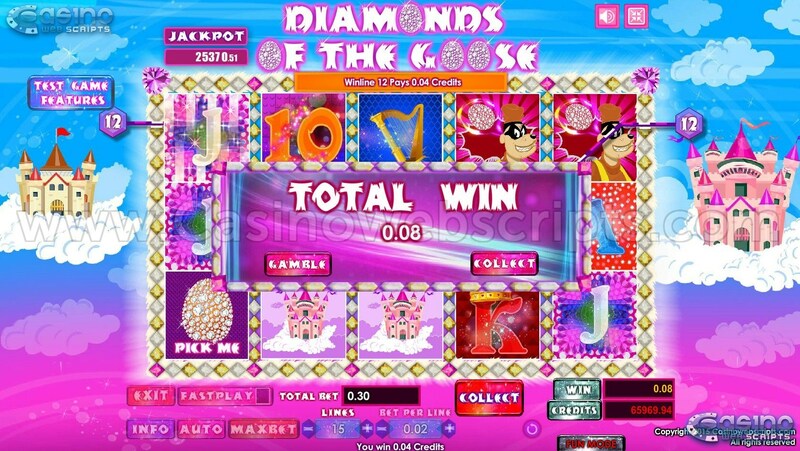 The MINI JACKPOT is equal to 10% of the Jackpot Pool. When any of the three jackpots is won, the won amount is deducted from the jackpot pool, and the jackpot values are recalculated. No simultaneous wins of same JACKPOT value are possible.EG: two players cannot win both the MINI JACKPOT worth 500 CREDIT, at the same time. The first player will get a win of 500 CREDIT, and then the MINI JACKPOT is recalculated and the second player gets a different amount. 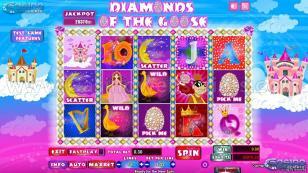 The chances of winning any one of the Progressive Jackpots increase based on the value of your total bet. 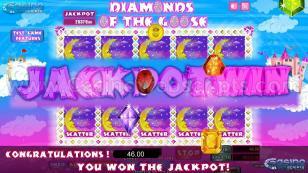 The Jackpot Pool is not affected by any bets or wins, when the game is played in FUN MODE. 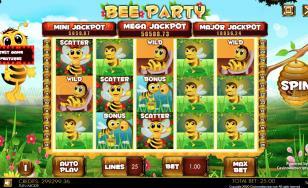 If a player wins MEGA Jackpot, then the pool is reset, meaning that the MINI and MAJOR jackpots will be reset as well. 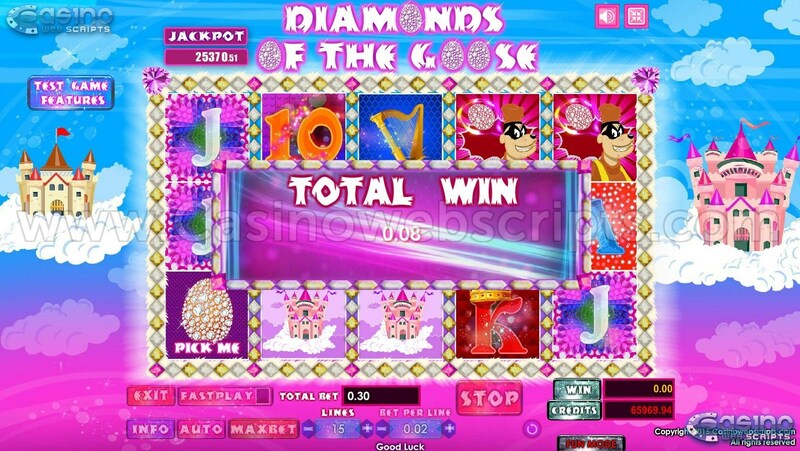 The jackpot pool will not exceed this value..
3x Pickme symbols, in the base game, on an active line award a win based on betperline*paytable value for Pickme symbol and trigger Pickme feature. 3x Pickme symbols, in the base game, anywhere on the screen award only Pickme feature. 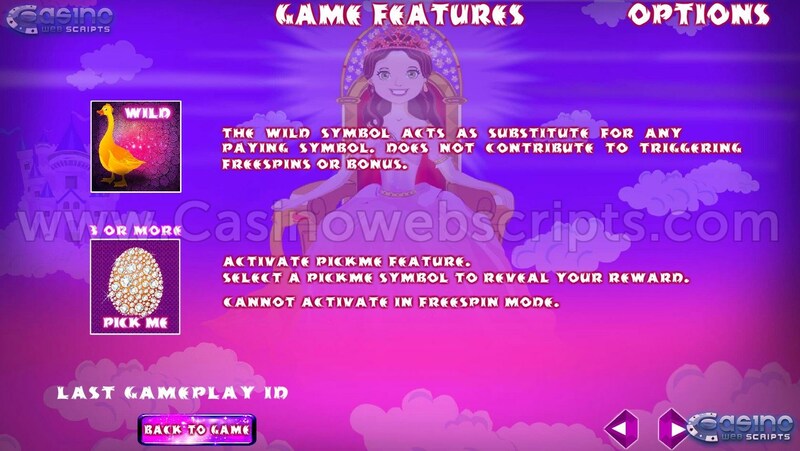 3x Pickme symbols, in the free spins mode on an active line award a win based on betperline*paytable value*freespin multiplier for Pickme symbol but do not trigger Pickme feature. 3x Pickme symbols, in the free spins mode anywhere on the screen do not award Pickme feature. In Pickme feature, you can win Credits randomly. 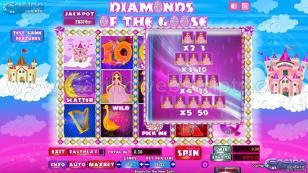 Your win is influenced by the total bet that you placed on the spin that triggered Pickme feature. You can reveal prizes by clicking on the indicated objects. Only the selected revealed prize will be collected. After revealing all the prizes, Pickme feature will end. In Freespin mode all wins are multiplied by x2. 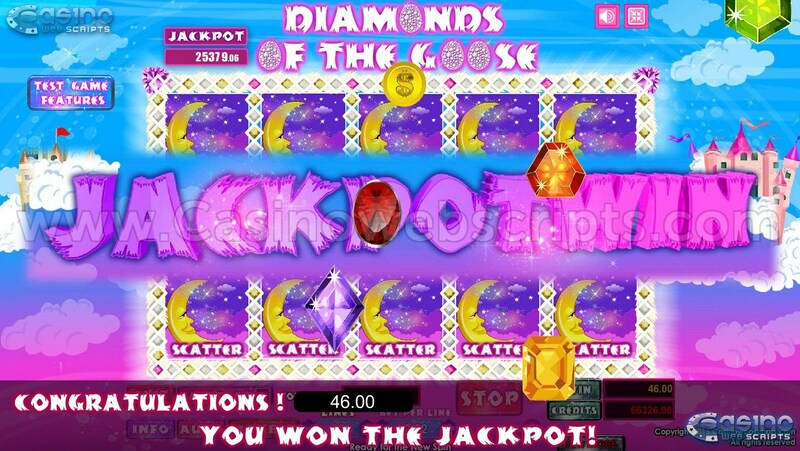 Freespins can be gained when 3 or more Scatter symbols appear anywhere on the screen, during base game or freespin mode, except when winning the Progressive Jackpot (when you win randomly one of the Progressive Jackpots, Scatter symbols will appear all over the screen). Freespins are not activated then. 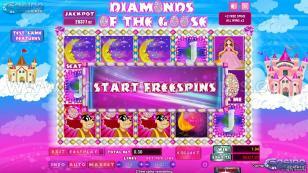 Freespins mode is started after the bonus round end. 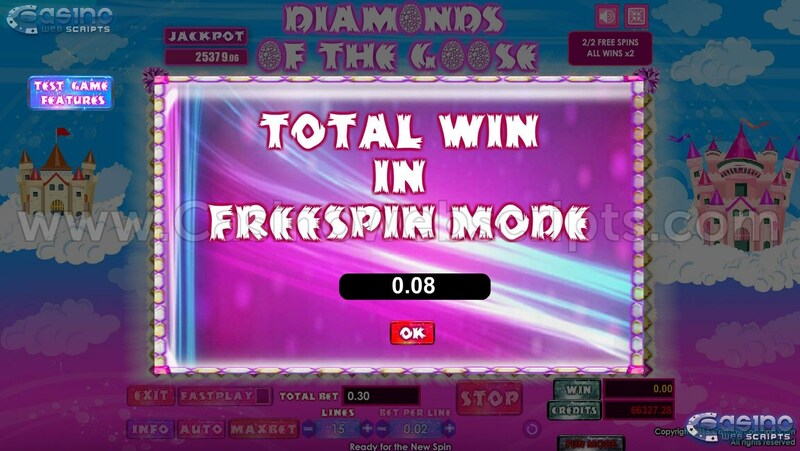 Freespins can be retriggered during Freespin Mode. 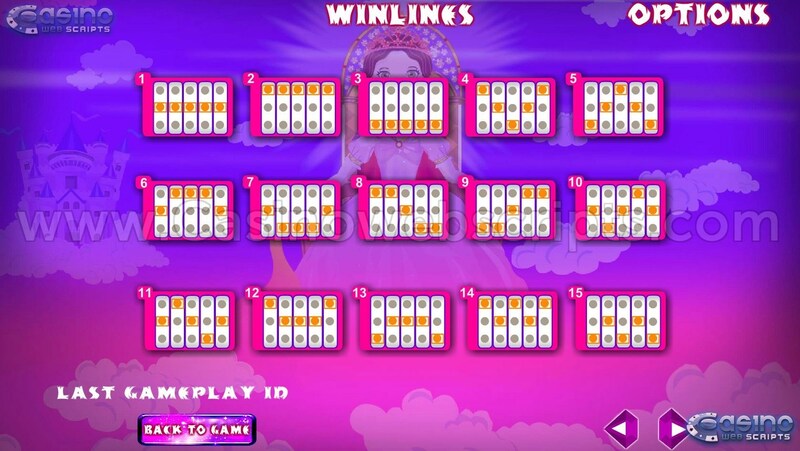 The value of betperline in Freespin mode is equal to the value of the betperline that you used before entering any bonus or triggering the freespins. 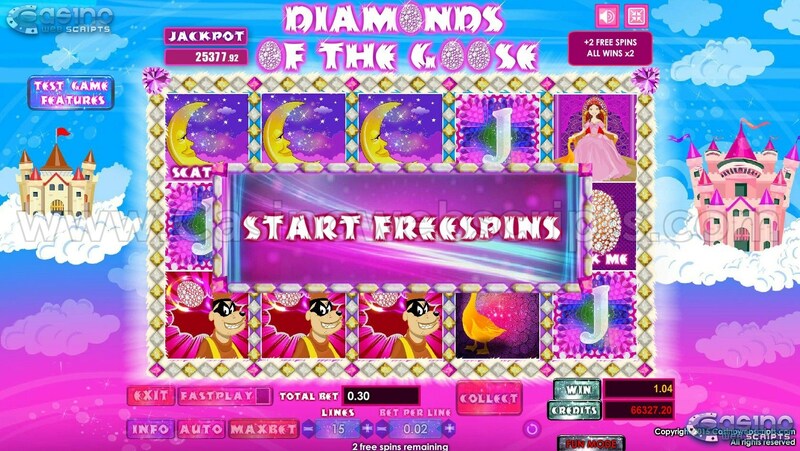 The number of paylines in Freespin mode is equal to the number of paylines that you used before entering any bonus or triggering the freespins. 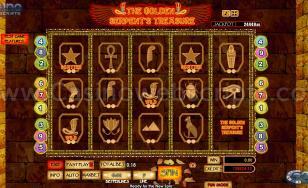 When 3x Scatter symbols appear anywhere in the screen, you are rewarded with 2 FREESPINS. 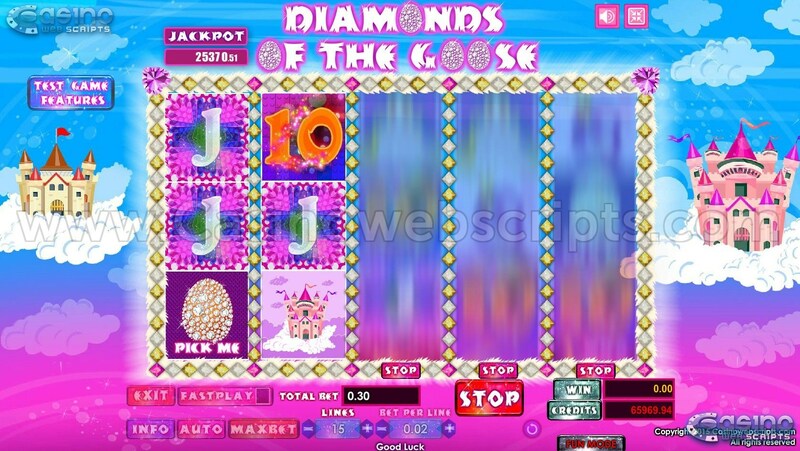 When 4x Scatter symbols appear anywhere in the screen, you are rewarded with 3 FREESPINS. 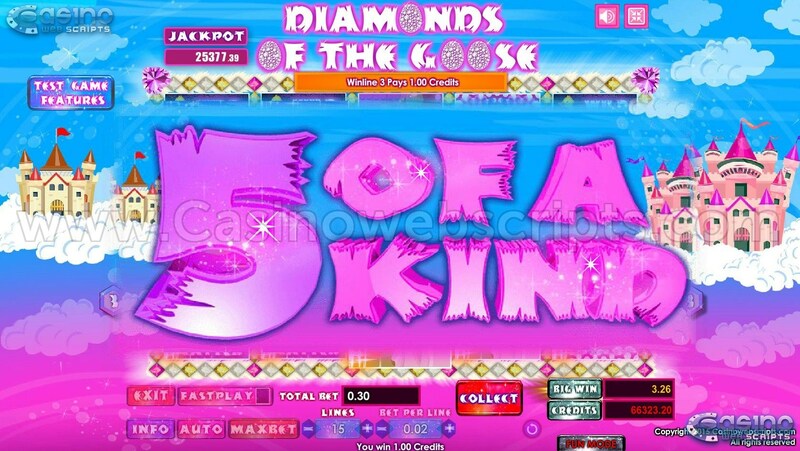 When 5x Scatter symbols or more appear anywhere in the screen, you are rewarded with 5 FREESPINS. When Freespin mode will complete, a popup displaying your total win in the Freespin mode will be revealed. The WILD symbol acts as substitute for any paying symbol, except SCATTER. 5x WILD symbols on an active payline will pay nothing. The WILD symbol does not contribute to triggering FREESPINS or BONUS; however it will contribute to the payout of the symbols that it will replace. EG: WILD BONUS BONUS symbols on an active payline, will not trigger BONUS mode, but will pay the win amount according to the paytable. 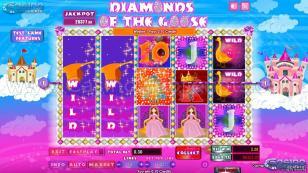 When playing on maximum paylines, 2x WILD symbols on same REEL, in normal play, will trigger EXPANDING WILD feature. 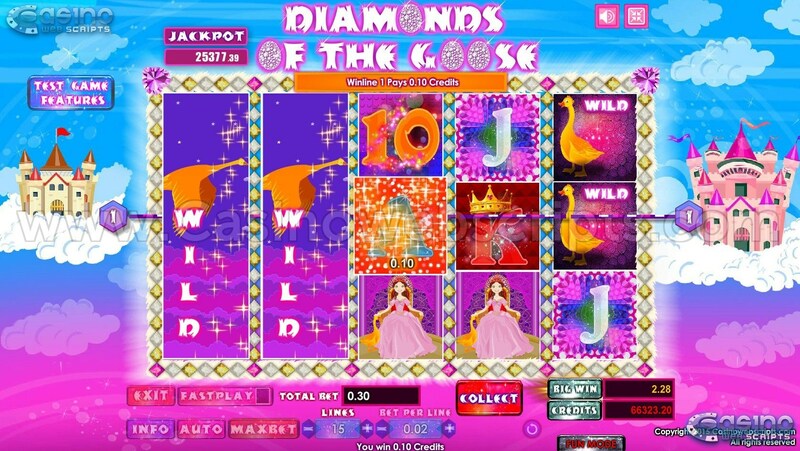 When playing on any number of paylines, 2x WILD symbols on same REEL, in freespin mode, will trigger EXPANDING WILD feature. 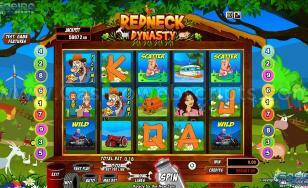 When playing on less than maximum paylines, EXPANDING WILD feature is disabled in normal play. When EXPANDING WILD feature is triggered for a REEL, all symbols from that REEL become WILD symbols.EXPANDING WILD will be triggered only if it will contribute to generating a win. 1.Bonus rounds that were not started and were disrupted due to client or internet connection issues, can be restored upon restarting the game. 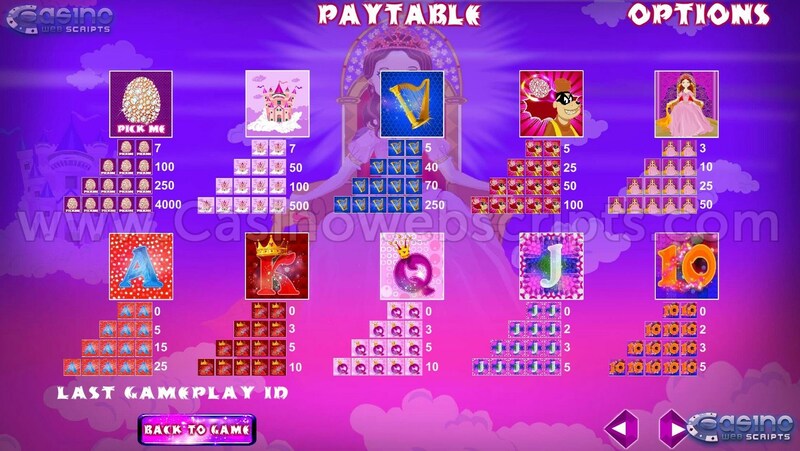 2.If there is a disconnection during the bonus round, after the bonus round was started, it will result in a completed gameplay and the bonus win shall be credited to the player account(if there was a win). 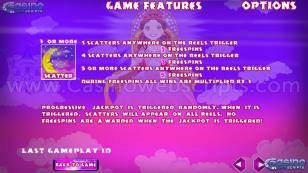 3.Freespins that got cancelled and were disrupted due to client or internet connection issues, can be restored upon restarting the game. 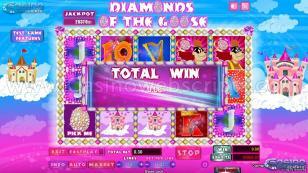 4.Game Client crashes that happen during the reel spin will result in a completed gameplay and the win shall be credited to the player account(if there was a win). The results of the gameplay can be viewed in the gameplay logs. 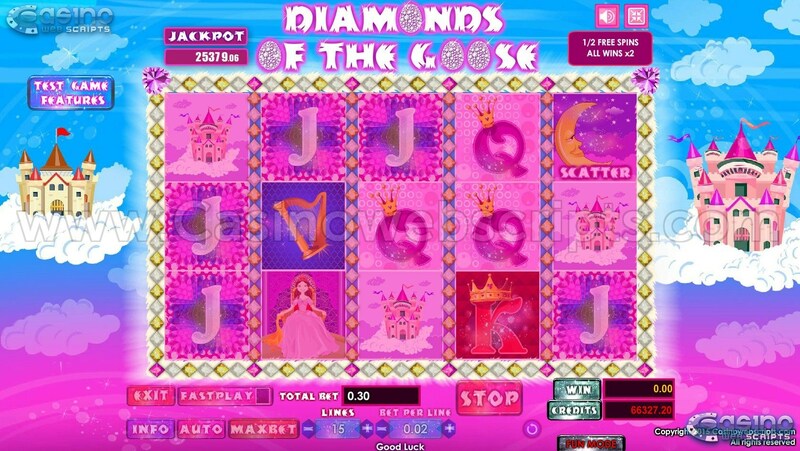 5.Game Client crashes that happen during the Progressive Jackpot reward will result in a completed gameplay and the Jackpot reward shall be credited to the player account. The results of the gameplay can be viewed in the gameplay logs. 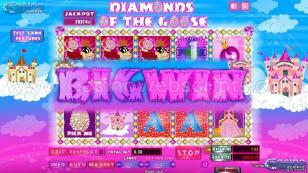 6.Game Client crashes that happen during Gamble will result in a completed gameplay and the win shall be credited to the player account(if there was a win). The results of the gameplay can be viewed in the gameplay logs. 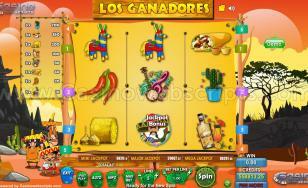 The payouts for any symbol can be viewed by clicking on the symbol from the game screen. The paytable can be found by clicking on the PAYTABLE button from inside the game, or it can be viewed by clicking here.